A specialist showroom at the Schlüter UK headquarters, dedicated to education on the application of tile and stone. Gain design inspiration and discover new products, through exploring our series of specially designed 'pods'. As well as experiencing our products in situ, you can learn about the surprising history of ceramics in the local area. 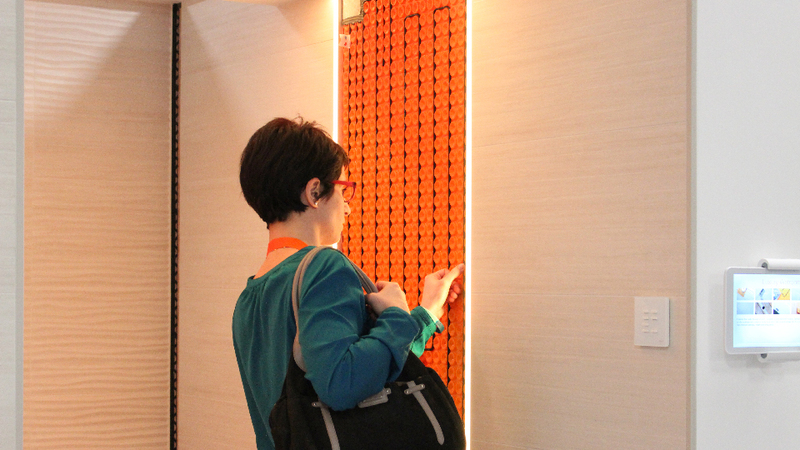 Opened in 2017, The Application Gallery showcases the uses and capabilities of Schlüter-Systems' extensive range of products for the protection of tile and stone. Because of how they are used, a lot of Schlüter's products go unnoticed to the eye within a finished installation. This educational space at Schlüter UK’s offices in Leicestershire shows where Schlüter products make a difference — from waterproofing for walls and floors, right through to underfloor heating and profiles. It features a series of specially designed ‘pods’ demonstrating the key uses of our solutions, with cut away areas exposing layers of product in situ. The Application Gallery has been produced in collaboration with leading bathroom specialists, Roca, who also have offices in the area. The various pods include a walk-in wetroom, barrier-free bathroom, wellness space, lifetime home, luxury wetroom and kitchen diner, along with a preparation pod that exposes the full underlay of a Schlüter bathroom. The Application Gallery is now an integral part of the Schlüter-Systems Education Centre, enriching the experience of those who attend in-house training sessions. It also offers an inspiring space for events and gatherings. 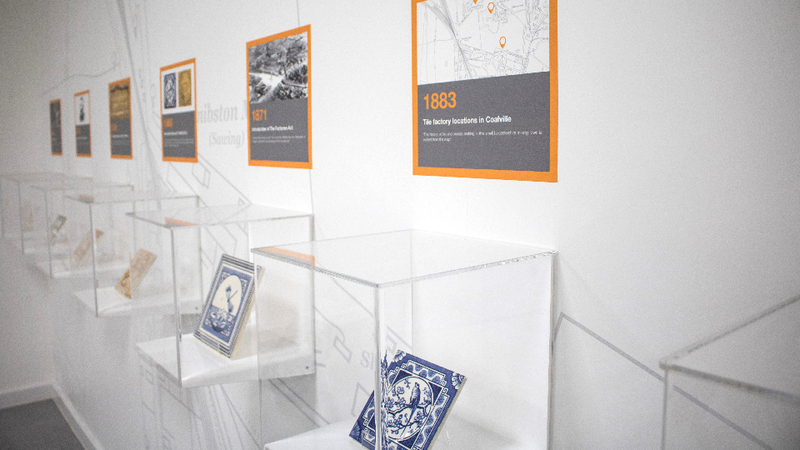 Extra layers of interest are added in this facility with a small exhibition that gives a potted history of Coalville's associations with clay tile production, over 150 years before Schlüter-Systems established its UK headquarters in the area. Looking for more information or to visit? 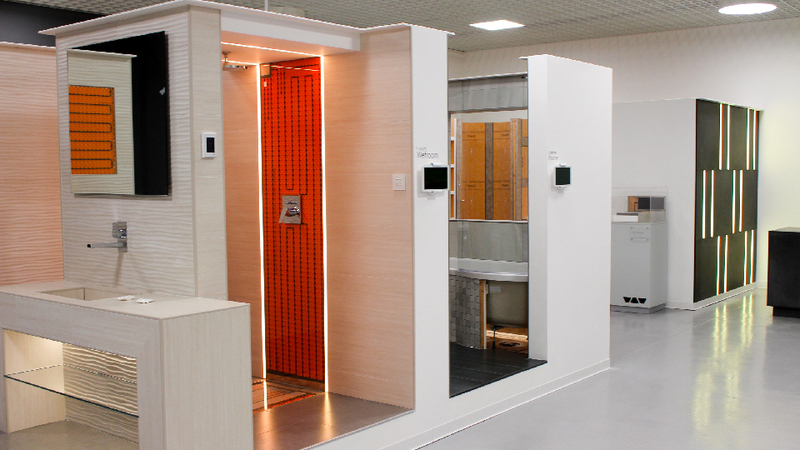 If you're interested in visiting the Application Gallery, or want to find out more about specifying Schlüter-Systems' solutions, please email specifiers@schluter.co.uk or call 01530 813396. The Application Gallery can also be booked as a venue for selected events; please enquire as above.